I started working here about 6 months ago, and I have to say that the environment at Belmont Village is a spectacular one that keeps both the residents and employees at ease even during the busiest days. It’s obvious that such remarkable standard will surely be linked to the strength of the management, so I say a big thank you. I have improved tremendously in both work and through life experiences since resuming work at Belmont Village. I want to take this time of celebration to thank you all for the various ways Belmont village has helped me, ranging from contributing towards my tuition and school supplies to the establishment of my medical foundation. 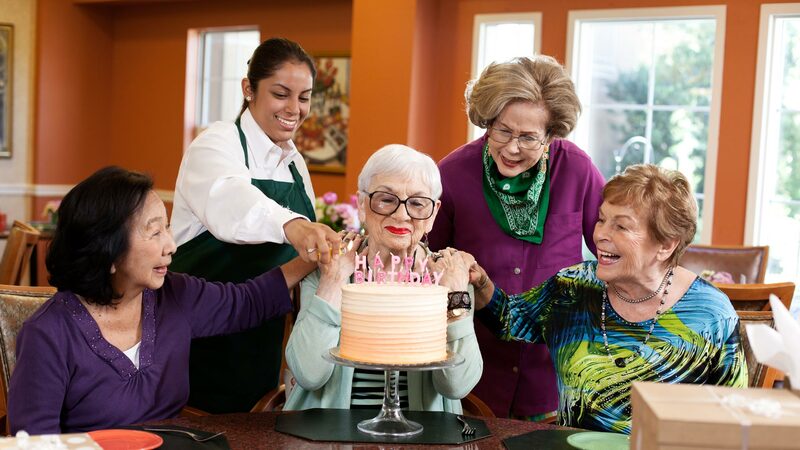 It’s establishment was partly inspired by working at Belmont Village, and it gave me an opportunity to see life differently, especially as we approach old age. I thought it could be worthwhile to give back to society as much as I could. This year alone, apart from my tuition that was paid off from the opportunity given to me at Belmont Village, more than 40 senior citizens in Africa received their personal blood pressure kits and are be able to monitor their blood pressure at their convenience. In a nutshell, I was able to achieve these things because of the opportunity the management of Belmont Village has given me. Please, more grease to your elbow as you continue the good work in 2017. Merry Christmas and a blessed new year to all of the managers at Belmont Village Oak Park.